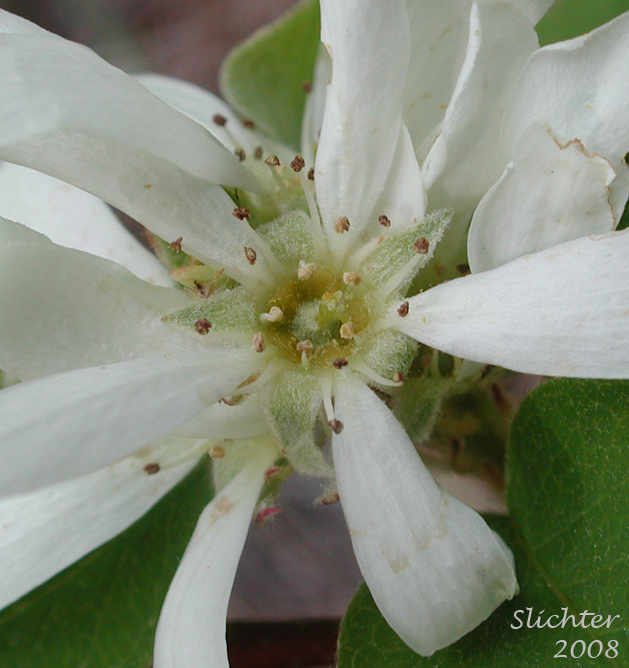 The photo above shows a close-up of the flower of cusick's serviceberry as seen along the River Route Road (a logging road which descends into the upper Klickitat River canyon) between Elk and Trout Creeks In extreme southern Yakima County several miles north of the Klickitat Fish Hatchery. The petals measure 16-18 mm long and up to 6 mm wide on this specimen, while the calyx lobes are 3-3.5 mm long. Photographed on May 6, 2008. 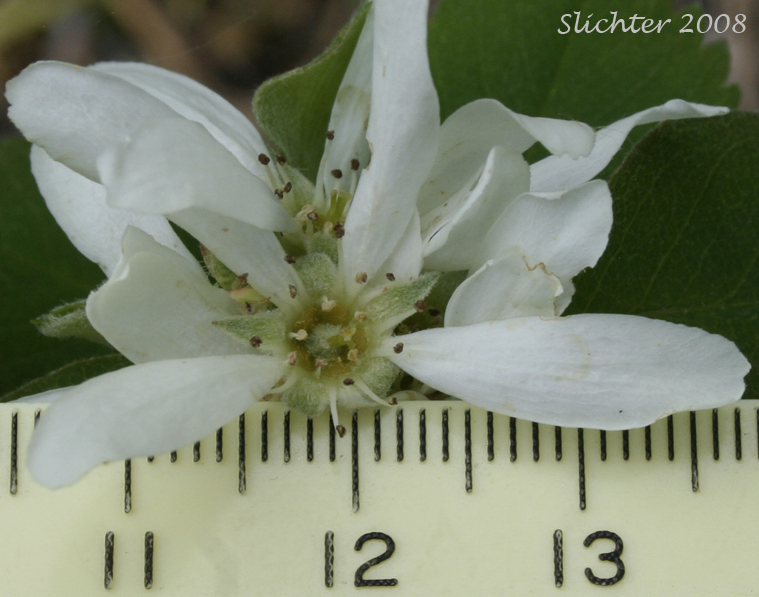 The photo above shows a close-up of the flower of cusick's serviceberry as seen along the River Route Road (a logging road which descends into the upper Klickitat River canyon) between Elk and Trout Creeks In extreme southern Yakima County several miles north of the Klickitat Fish Hatchery. Photographed on May 6, 2008. 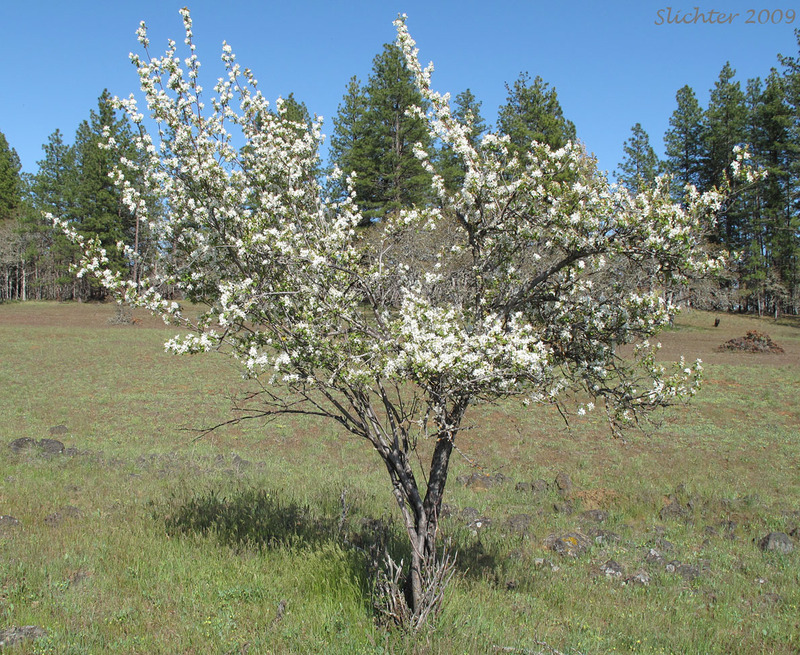 Cusick's serviceberry in bloom in Canyon Creek in the Klickitat State Wildlife Recreation Area to the north of the Columbia River.........................May 8, 2009. Since it is somewhat tree-like, this plant has obviously been heavily browsed by large herbivores.